Make Fireworks with Great Party Gear from Oriental Trading! Oriental Trading has some marvelous 4th of July party supplies. I LOVE the holiday, personally, and I love that my kids love it too. So, we always get some fun patriotic attire and costume jewelry to help celebrate. And, of course, we have to have some great glow-sticks for the fireworks at night! Oriental trading has pretty much anything you could want to help celebrate. Whether you are looking for parade goodies to pass out and throw to the children, or if you just want to have a great family barbecue, there is something you'll want from Oriental Trading. We received several great items from Oriental Trading for review. 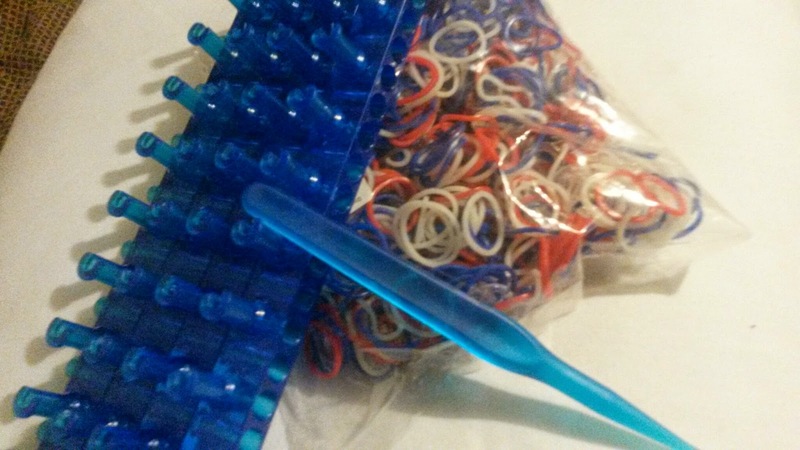 We chose a great patriotic assortment, as well as some really fun glow bracelets, patriotic friendship bracelets and some fun loop bands for our fun loop loom. 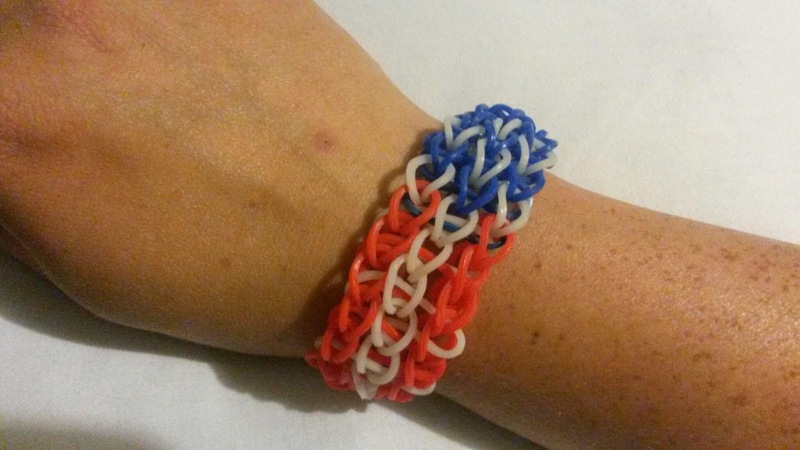 The Fun Loop Loom and Patriotic Fun Loom bands are prefect for making our patriotic bracelet. 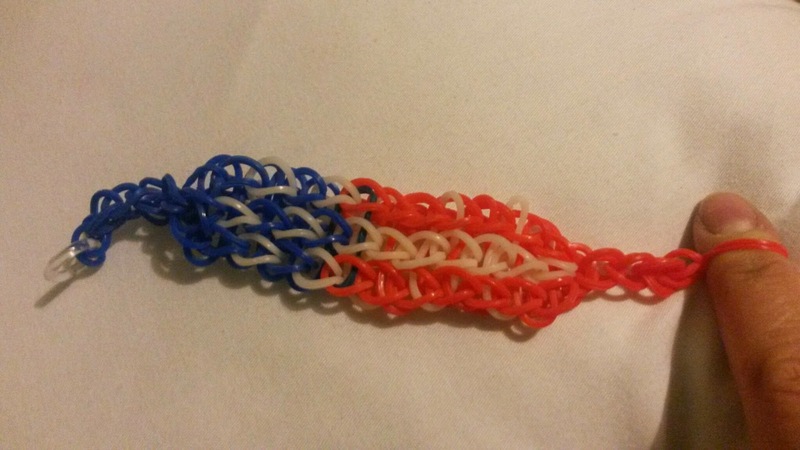 This bracelet is really simple to make, and I will feature a tutorial on how to make it next week (sometime the week of June 23rd). Keep watch for this simple tutorial! The kids have had a lot of fun trading and giving away their friendship bracelets, and it brings back a bit of my childhood too (I know I wasn't the only one who collected arm loads of friendship bracelets)! The glow stick bracelets are great, I love that they help keep my kids visible during dusk and night when I can't see as well. 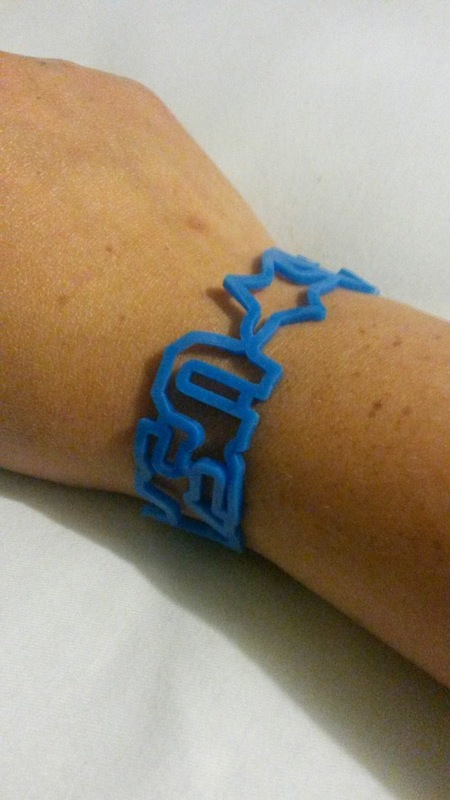 I can give each child one and then keep an eye on their bracelets- it makes them much more visibile. The set we have have red, white, and blue bracelets, as well as a striped bracelet (although I think this bracelet glows a bit darker). So, get your order in now to make this Fourth of July a fantastic party...and make sure to order extra Fun Loom Bands to be prepared for the great tutorial I have planned!